The transfer saga surrounding Frenkie De Jong is finally reaching its conclusion. In fact, according to Catalunya Radio's 'Tot Costa' programme, the footballer is meeting with Ajax today and will inform them of his decision regarding his future. For FC Barcelona, the past few months have been a rollercoaster ride of emotions. After initially feeling confident a move would happen, the emergence of a familiar foe in PSG turned the player's head. It's believed that the midfielder favours a move to Paris because of what he believes is an easier route to the first team. Journalist Oriol Domenech explained that the player has finally made up his mind and this is why he's meeting with Ajax. At the same time it was revealed Barça weren't out of the running yet. 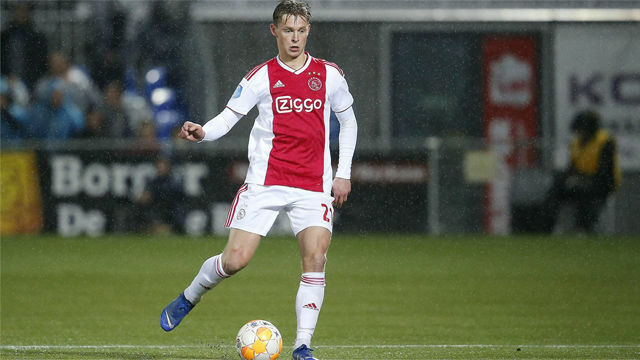 It appears as if De Jong will let Ajax know his decision first and then, in the next few days, the rest of the world will find out where the talented midfielder feels is the best place for him to continue his development.